We are all aware of smoking quite well. However, vaping is a comparatively new phenomenon and trend. It involves an electronic device that is usually charged, and a flavored liquid is filled in it with the desired level of nicotine. Users can even choose to eliminate the nicotine if they want the flavor out of vaping. A very hot debate is going on since the advent of vaping devices that whether vaping is less harmful or more harmful than smoking. Now, we all know the hazards of vaping which includes many cases of explosions in the devices due to vaping over smoking and overheating. Here, we are not discussing the explosion possibilities; we will just be reviewing the hazards of vaping and smoking in context to just the inhaling of the smoke. Let us now consider some of how vaping is better than smoking for health. Nicotine is a substance found naturally in plants. It is present in cigarettes, and its addiction ability is exceptionally high. However, this must be noted that nicotine itself is not that dangerous, because the lung cancer and other dangers of smoking are not due to the nicotine, but it is because of the tar and toxic gases that are released when the tobacco in the cigarettes is burned. Nicotine plays a role of addicting you to cigarettes. Nicotine can be avoided in the e-cigarettes or vaping devices as you decide the level of nicotine you want to intake. So, if you do not take nicotine, you will not be addicted to vaping, unlike cigarettes that have nicotine present in them already. Vapes do not contain tobacco; they include a flavored liquid that might or might have nicotine present in it. So, the health hazards caused by tobacco are no longer present. Users can be satisfied with the nicotine addiction while being safe from the burning tar and toxic gases that are emitted from burning tobacco. Tobacco is responsible for the highest number of preventable deaths occurring around the world with around 6 million people losing their lives each year due to smoking tobacco. In the United Kingdom alone, more than 100,000 people lose their lives each year due to tobacco. Vaping is much more environmentally friendly than smoking because its passive smoking is not that dangerous as compared to cigarettes’ passive smoking. Cigarette smoke contains around 5000 chemicals of which at least 70 are entitled to cause cancer. This is not the case with vaping. Vaping juices do not contain tobacco or any other harmful material that might cause harm to the passive smokers. However, some studies did find toxic material in the e-cigarette’s smoke, but it is at such a low level that it is implausible to cause any harm to anyone. On the other hand, it is confirmed that the traditional cigarette smoke, when inhaled passively, can cause cancer and other dangerous diseases. The teenagers often have an obsession with cigarettes even before they have smoked one, because they have seen their elders smoking, and they find it quite refreshing to smoke. So, children can start smoking as early as from high school which is extremely dangerous not only for them but also for those around them. E-cigarettes can satisfy them as they want to smoke and have no addictions to smoking. This way, they will have their wants fulfilled without causing much harm. However, care must be taken that when giving e-cigarettes given to children must not contain vape juices with high levels of nicotine. Nicotine must be avoided entirely so that the children do not get addicted. 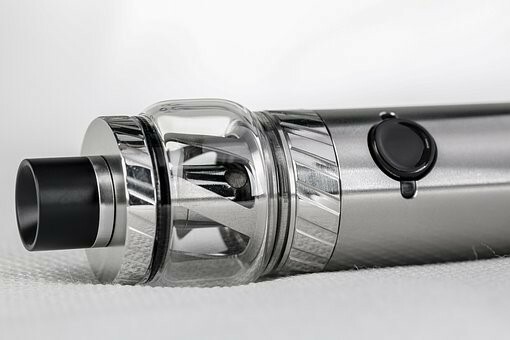 When they are not addicted, they will quit vaping themselves after some time as they will not be getting anything out of it except a flavor which they can quickly get from juices. Moreover, long sessions of vaping must also not be allowed for children due to the potential dangers of vaping over smoking. 5. Start vaping; quit smoking! Governments and healthcare organizations all around the world are trying to replace traditional smoking with vaping because vaping is less dangerous. People are being transferred to vaping and are instructed to use as low nicotine as possible so that they can satisfy their addiction without causing any risks of cancer or any other disease. Companies are being encouraged to allow employees to vape in the offices so that the lethargic nature of people makes them vape inside the office instead of going out and smoking. Of the 3 million people who vape in the United Kingdom, more than 1.5 million have quit smoking already. The number of people quitting smoking is expected to increase even more in the future.